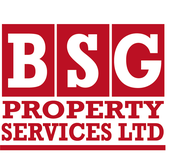 BSG Property Services is the largest company in the privately-owned Lysander Holdings Group, which includes Lee Roofing and Lysander Scaffolding. It was founded more than 30 years ago as a local home improvement business which became a substantial concern by winning public sector housing maintenance contracts. Today’s BSG has a sales turnover of several millions of pounds and over 100 employees delivering a complete range of building and maintenance services to private and public sector clients. The company has a purpose-built Head Office and warehouse on a four acre site near Sandy, giving easy access to the A1 and other major routes for our 100-strong fleet of commercial vehicles. A second branch in St Albans enables us to provide the same high standard of service for clients in the south of our region. The company’s founding family still owns the business and is actively involved in its management. That’s how we combine our personal approach and attention to detail with the capabilities of a much larger company. It’s a fairly unique proposition which has impressed some of the region’s biggest public housing providers, as well as businesses and home owners. Our dedicated craftsmen, engineers and operatives always work hard to exceed your expectations - that’s the BSG difference. Working with our sister companies. 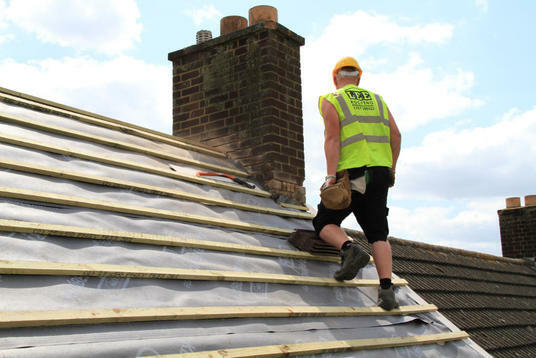 At BSG Property Services, our co-ordinated use of in-house trades is complemented by our ability to call on the services of our sister companies, Lee Roofing Ltd and Lysander Scaffolding Ltd. This enables us to offer a full range of building and maintenance services as a single solution to public and private sector clients. Managing a project is much easier the BSG way! 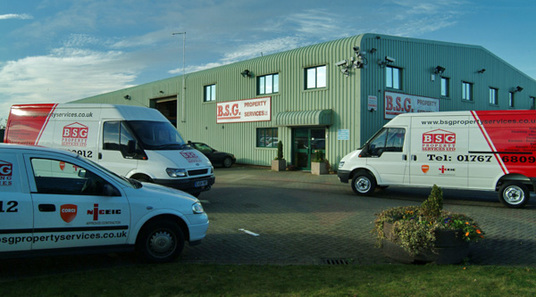 At BSG we have always been concerned about our communities, environment, people, employment and Health & Safety. We are proud to have achieved ISO 14001:2004 accreditation, which means we have an effective Environmental System. For BSG, local communities are where we are based and where we work. We are proud of the improvements we make to peoples’ homes and peoples’ lives. We offer employment, adding wealth to the local economy. We support local facilities and causes, for example by providing the village hall and a local school with materials and advice. We back local initiatives and youth schemes. We always aim to leave a lasting impression on the communities that welcome us. From the moment they join us, we train and encourage our people to act responsibly and to care for the environment. Caring for the environment is good for our employees, our customers and our business. We recognise that building work involves environmental impact and we always aim to minimise it. We understand and meet our legislative requirements and constantly review our policies. We work closely with our supply chain to ensure that the materials we use are ethically-sourced and sustainable. We minimise waste on our sites and sort and segregate it at our own licensed Waste Transfer Station. We all need to save energy. At BSG, we generate some of the electricity we use with Solar PV panels installed by our own BSG Solar division. We also offer a range of renewable energy installations to our clients, including Solar PV, Solar Thermal (hot water) and Heat Pumps. We operate in a “People” business where care for our customers is as important as our professional skills. We believe that we score highly on both measures, having a dedicated and experienced group of technicians who always go the extra mile to exceed our customers’ expectations. We directly employ our workforce, which means that we are able to invest in their professional development. It also means that we have a complete range of construction trades under one roof, enabling us to offer a more efficient and joined-up service than companies which rely on sub-contractors. Our respected apprenticeship scheme introduces talented young people to our industry and ensures that they are developed to the high standards required of our operatives. They are trained to nationally-recognised standards across a variety of trades including plumbing, electrical, carpentry and scaffolding. We have well-established relationships with local colleges and training providers and we continually assess our training needs. For example, we are currently considering a new apprenticeship scheme developed specifically for property maintenance companies. Our “Local Initiative” scheme means we aim to recruit skilled labour from the communities where we are based and where we work. This helps to keep wealth and expertise in those areas, benefiting local communities and fuelling future economic growth. The welfare of our employees and customers is our primary concern- nothing is more important to us. 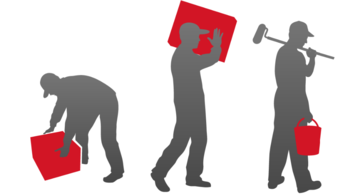 We have a full-time Health and Safety Manager and documented procedures which comply with ISO 18001, the world’s most recognised occupational Health and Safety standard. We regularly train our employees to create a safe working environment and to safeguard those who may be affected by our work activities. For more information about any of our services or for a competitive quotation please call us on 01767 680912 or Freephone 0800 389 4996. Please note that Freephone is not a free service from mobile phones.